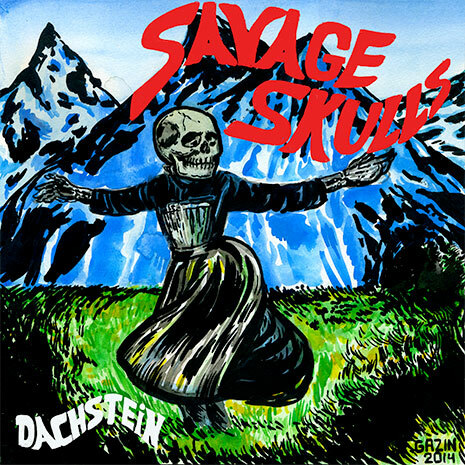 Fans have been salivating for Savage Skulls’ alpine megajam “Dachstein” as soon as heavy hitters like A-Trak and Tiesto started dropping it in their festival sets. Mashing a feel good oompahh melody into an enormous kick drum drop, “Dachstein” is perhaps the heaviest and happiest DJ weapon you’ll hear all year. The hills are alive! Sleeve by Nick Gazin.